This earpiece allows the radio user to privately receive messages. It's intrinsically safe with an FM-approved radio, and it's ideal when environments require discreet communication. 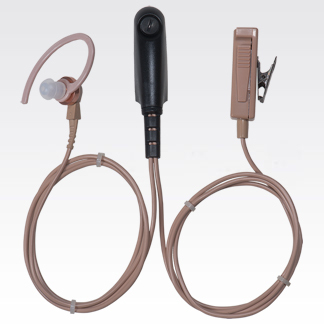 This beige, 2-wire earpiece has a combined microphone and Push-to-Talk feature.